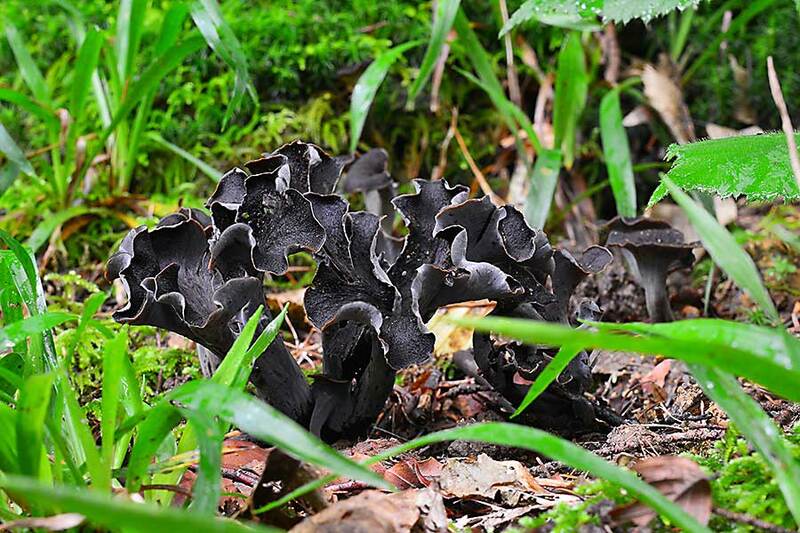 Horn of Plenty Mushroom is a wild mushroom with a hollow, funnel-shaped cap and is dark grey or black in colour. Because of this, it also has the name trumpet of death. 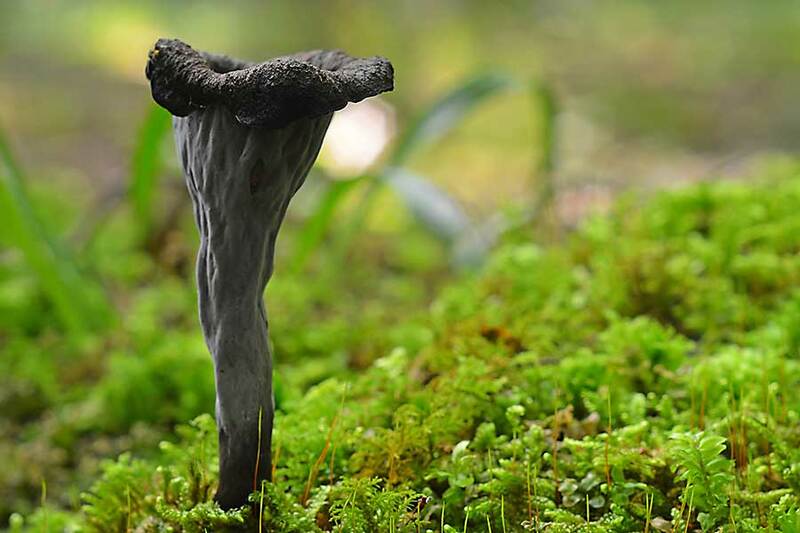 This mushroom is somewhat stringy, but has a robust flavour and may be used to flavour sauces, soups, or any other mushroom preparation. 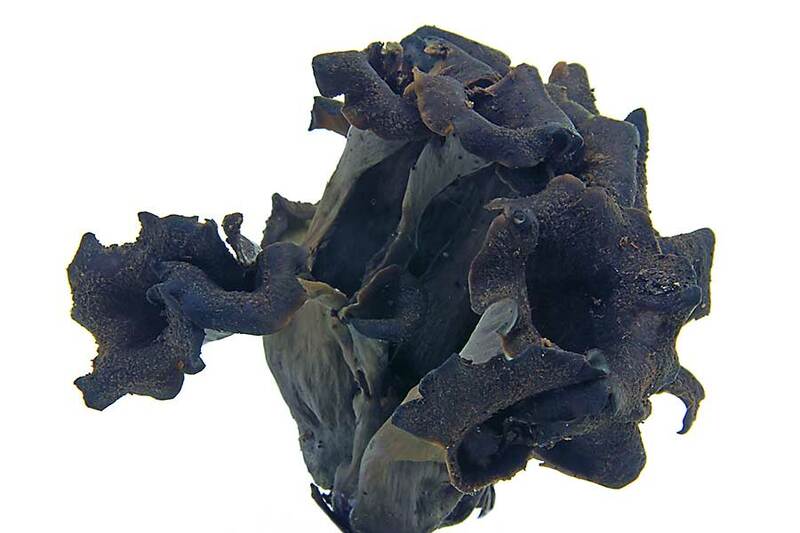 Horns of plenty are edible and sought after. They look rather unattractive but have a very good flavour. When dried their flavour even improves, acquiring black truffle notes.